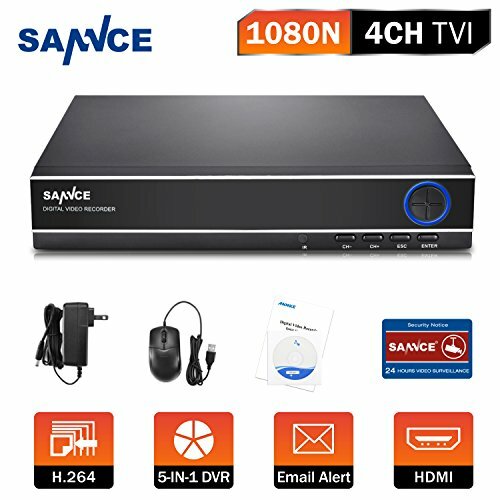 4CH 5-in-1 1080N High Resolution DVR with HDMI VGA Output H.264 Compress mode, real-time 1080N video playback,offers 1080N@25fps recording on all 4 channels ,No hard drive included. With P2P technology, the DVR can easily connect the network; Dual stream design, HD local application and smooth network preview. Email alarm with text if activity detected; Support Motion Detection,1080N High Recording Resolution, Free Life Time Tech Support and remote assistance. No need to worry about the after-sales problem.